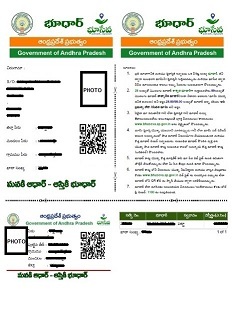 Andhra Pradesh State Government launched Bhudhaar App - Bhuseva portal , its will be helpful to People Get land Services through online. Under this Apk, each land parcel will be given a Bhudhaar number, an 11-digit unique identification. It will help in easy identification of the details of the land parcel. All Lands Related information will be available in Bhudhaar app. People would be able to have details of their land on their Smart mobile phones. Bhudhaar is designed to assess the future aspects of the national perspective. Decision was made to place an 11 digit number, where the first two digits are allocated for the state code. The result of the services from the Geospace Portal can be downloaded by download. The previous history of the relevant land parcel can be easily understood.